I will not be the first, nor last, to write about Disney and their unbelievable customer service. They knew the key to Winning the Customer even before I wrote the book, but I wanted to share and pass along two spectacular features that Disney offers that we experienced this last trip, as well as further sing their praises. Let me preface things by saying that when we travel, we typically do not buy packages and never utilize group transportation. I am not a big fan of multiple stops and public transportation. Call me what you will, but traveling can be trying enough, so there is no need to multiply the points of stress and margins for error. That being said, we actually bought a complete package from Walt Disney World Travel. This was a big step for me, because we are definitely “a la carte” and not “all inclusive” travelers. This may sound silly, but I’d rather pay more and customize my experience than jump into a cookie cutter program, or so I thought. We received an email offer from Disney where the basis for the savings only truly kicked in by purchasing the entire package; we broke from our norm and bought the package, soup to nuts, including the meal plan. If you even slightly know our dining habits, it will seem shocking, but I sit here today to tell you it’s unbelievable. It worked for us and we saved a significant amount of money. 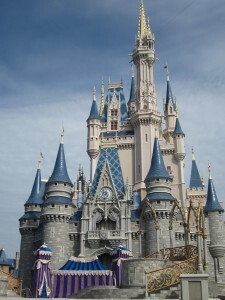 1) Disney’s Deluxe Meal Plan: We travel a lot, and I never thought our appetites and tastes would fit with a meal plan. Sure, you save a bunch of money, but you’re usually limited to where and what you can eat. We’ve looked into meal plans in the past and always decided it was not for us. When this package offer came along, we went back and forth on whether or not to try it; we took a leap of faith because we liked the way Disney structured the program. With Disney’s Deluxe Meal Plan, you receive points rather than being forced to eat breakfast, lunch and dinner at select restaurants. As a family of four, we received 72 points, which would get us three squares a day for our stay. What we liked about this point system is that we didn’t have to do breakfast, lunch and dinner daily, yet we could still make use of our points. There was a list of locations in the plan where one point each would take care of a meal. However, Disney’s Signature Restaurants (where we typically eat) required two points. We are big eaters, but we do not typically do three big meals a day, so this point system allowed us to book all the signature restaurants we most enjoy without any real restrictions. As part of the plan, we also received 48 snacks, which worked perfectly for us. Here’s a hint for you if you dine like us: we used the snack allotment to get fruit and muffins for breakfast, so we could double down on fine dining at dinner. It worked perfectly, as typical breakfasts were $10-15 dollars per point, whereas dinners were $30 per point (a pretty nice way to make the most value from your points). The structure of the program definitely worked for us, but the wait staff’s execution of the point system made for true Disney moments. In fact, we had guests one night for dinner; the rules state that you can’t share your points with others not in your plan, so I told the waiter to just charge their meals to our room. When the bill came, our waiter asked if we would prefer to use our extra points. This is a perfect example of how Disney keeps Winning the Customer. 2) The Magical Express: The Magic, of course, doesn’t stop there. As part of the package, we received transportation to and from the Orlando airport. The transportation was fine, in a very comfortable luxury bus, but there was nothing in the ride itself that would separate it from any other luxury bus, except probably the best feature anyone could offer to their traveling guests: hands-free luggage transportation. This feature is beyond magical. You receive tags by mail in your package to attach to your luggage and BAM – they appear in your hotel room. Sure, you have to bring and check the luggage at your departure airport when going to Orlando, but not on the way back home. Disney has it set up with Orlando International Airport that you can check your bags right at their Disney hotels and not have to deal with them until they are on the baggage carousel at your final destination. It’s a great feature that makes travel a lot more comfortable and less hectic. I am not a fan of traveling in groups and on a bus, but the hands-free luggage thing makes you feel like you have Downton Abby servants taking care of the schlepping for you. Definitely take advantage of this service if you travel to Disney World. It’s a Winning the Customer moment. Those are two features we have never experienced before on our many trips to Disney World. This may not be news to some, but for those of you who have never tried these package features, it is worth checking them out, both for convenience and savings. Just two more reasons the Wonderful World of Disney continues to find ways in Winning the Customer. There are 8 responses to "Disney is the Master at Winning the Customer". Lou, I think you hit the nail on the head – Disney just figures out how to do things right even though they are a huge company with lots of employees. I have been taking my family to Disney for years and I am always impressed by the people – and how they treat you – and like you I do not do planned vacations very well. But since about eight years ago I have been doing the meal plan with the transportation just because it is so easy – and does allow the flexiblity to do what you want. My only concern is telling too many people about this little secret we know about! Oh well, too late. Absolutely Michael. Love not dealing with baggage. I grew up a Disney kid in NE Florida in the 60s-70s. When WDW was being built, we would drive down to Kissimmee to watch the progress from an observation platform. When the park opened, we were there the first week. I’ve since been there hundreds of times over the years. Why? Because of the experience – which is beyond great. All brands should aspire to Disney’s customer service standards – even though most will fall way short. It’s no mistake WDW is the most visited spot on earth. I have been there over a dozen times and every time I go, expecting great things, and with out doubt they always do something new to wow me. Thank you for stopping by and taking the time to share your thoughts. Lou – I’m in Disney as I type this…I have been amazingly impressed with everything we do here. Every ride – every meal – is an EXPERIENCE. They have mastered taking over our senses and indulging every fantasy. I hope my team is ready because we’re making some operational changes as soon as I return home! Thanks for the post! It’s right-on! They really know how to Win the Customer in every way. Enjoy!